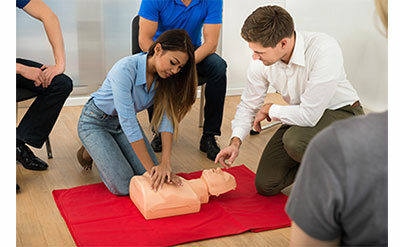 Our First Aid/CPR/AED training teaches you to save lives — it's practical, effective and hands-on. It meets and exceeds American Heart Association guidelines, which are the accepted standard for first aid training. For the workplace, our courses also meet OSHA requirements. For more information contact Al Terwedo; 651-228-7315/800-444-9150. Al has been involved in first aid training since 1987. He works with organizations of all kinds to strengthen their preparedness and emergency response programs through first aid/CPR/AED training programs and consultation.